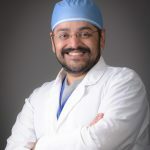 Mandeep Singh, MBBS, MD, MSc, FRCPC completed his Anesthesiology training at University of Toronto, and later on completed Sleep Medicine fellowship training at University of Toronto. He now has the distinction of being the first Canadian physician to be dual-specialized in Sleep Medicine and Anesthesiology. He also completed a Masters in Clinical Epidemiology and Health Sciences Research from U of T, during his residency training. His current interests include evaluating perioperative outcomes in patients with sleep disordered breathing, understanding mechanisms of upper airway collapse during sleep and under anesthesia, and epidemiology of other non-respiratory disorders in the perioperative period. He loves spending time with his wife, Ameet and his 7 and 5 year-old sons, Manmeet and Abhih, who are number one fans of the Blue Jays, the Toronto Baseball team.